The University of Alabama is not just an SEC powerhouse when it comes to football; the Million Dollar Band has its own reputation as being a leading program. 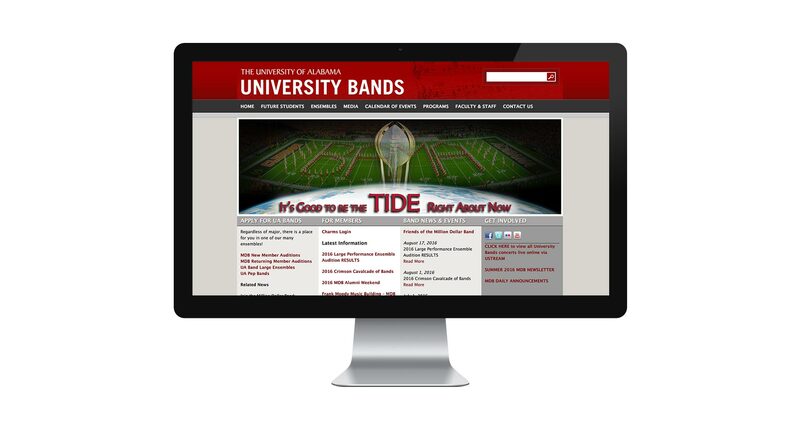 Already a client of 3W Studios, the MDB now enjoys a new home on the web that encompasses the entire University Band program, including orchestral and wind ensembles too. 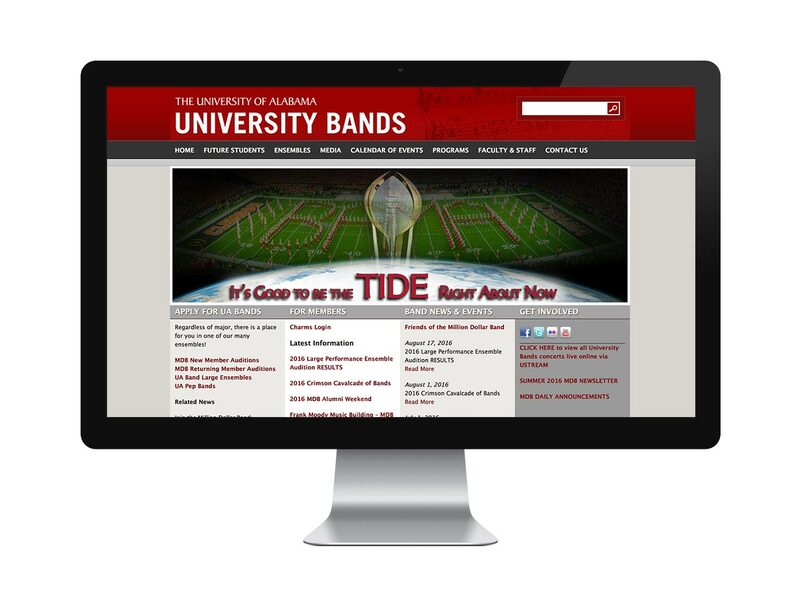 Designed to provide a distinct look without compromising University brand guidelines, the new site is content-management driven and features a custom members-only element for band members.